Here at Diamond Select Toys, we make products for DC AND Marvel, which means we get to have our Super-cake and Wolver-eat it, too! With Gallery PVC Dioramas coming out under both banners, including comics, movies and TV shows set in both universes, there’s already a ton of stuff to talk about, but factor in Marvel Minimates, DC Vinimates, Marvel statues, and Gotham and Marvel Select action figures, and it makes for one big Ask DST! 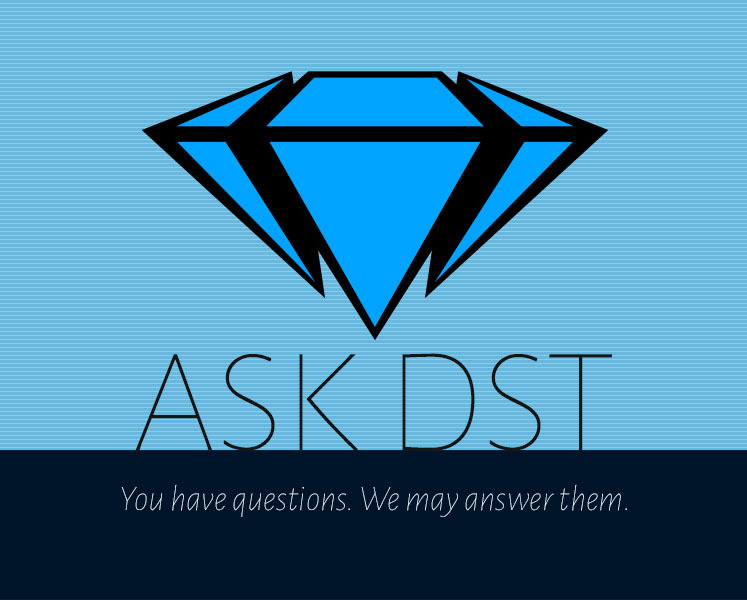 Read on, and if you don’t see your question, submit it in the drop-down form up top, or e-mail DSTChuck! 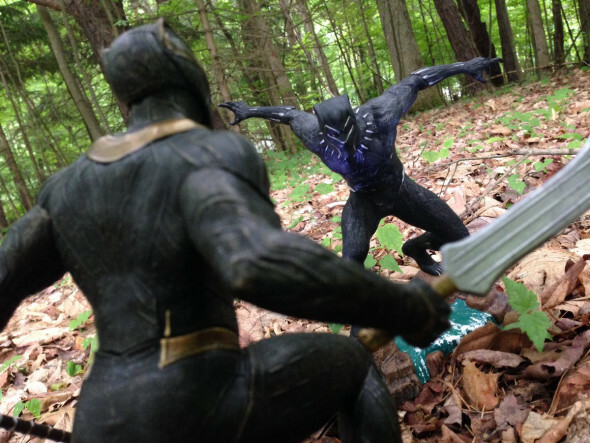 I started collecting DST Marvel Gallery PVC statues in 2017 and I am glad I am not late to the party, I have 11 so far and they are nicely detailed and affordable and marvelous representations of the characters! They look so cool displayed together! Please more X-Men and Avengers and Villians! Keep females coming! Fantastic 4 now that Disney bought Fox! Marvel was good enough but at Toy Fair DST blew my mind by announcing DC COMICS Gallery PVC statues too! A whopping 12 DC statues were shown classic and new looks for iconic characters! I cannot wait to mix the Marvel and DC statues for character and team crossovers! Now DST has to make DC Select 7″ action figures, too! Sad to hear DST Retro Mego Marvel figure sets have ended. DST and EMCE did their best with $80 format. There’s s still plenty of Marvel and DC Gallery statues and Marvel Select action figures and hopefully DC Select soon, too! Thanks for a terrific Toy Fair as usual! Marvel and DC, best of both worlds! DSTChuck: Glad you like them, it’s been super fun to work on and even better that they seem to be resonating with collectors. We’re going to keep going, so I am sure you will see more villains and members of the big teams. Glad you liked what you saw at Toy Fair. Hello! Can we have for Infinity War the bearded Steve Rogers and the new Iron Man armor? This armor looks so cool, maybe the final version of the character from the movies. We need it! DSTChuck: Bearded Steve Rogers is one of the three figures we have announced for Infinity War, along with Iron Spider-Man and Thor (with Groot). It is possible that another one may be announced at a future date, but we shall remain mum for now. Pre-orders for the Marvel Select Beast went live, and I have reserved my copy. I have a question though: Will thigh cuts be added to him during the manufacturing stage? DSTChuck: I believe the Beast figure is maxed out for its articulation, but I’ll have to review the prototype in person to be sure. Hi, I just got the Marvel Select Ragnarok Hulk, just wanted to say thanks for making it, this is the best Hulk action figure. I have been collecting the Movie Select since the First Captain America and the figures are getting better and better. I also just saw the list of Marvel Select action figures that will be coming for Avengers Infinite War, I was really hoping to see some characters that have never been made in 7-inch select form especially characters that most likely won’t get their own movie like Scarlet Witch, Vision, Loki etc…. (but I am happy that we will finally get a Captain America Chris Evan likeness figure though). Anyways, since Infinite War figures are already decided, I was wondering if you would consider making some of these figures for Avengers 4. 1) Thanos (this is a must, we don’t get enough villains characters in the select line, the last villain we got for MCU select was from Phase 1). DSTChuck: We have recently submitted our line plan hopes to Marvel, and hopefully we will hear soon. As of now we do not have any MCU 10th Select figures planned, but we do have a Marvel Milestones statue of Iron Man Mark 1 coming up! 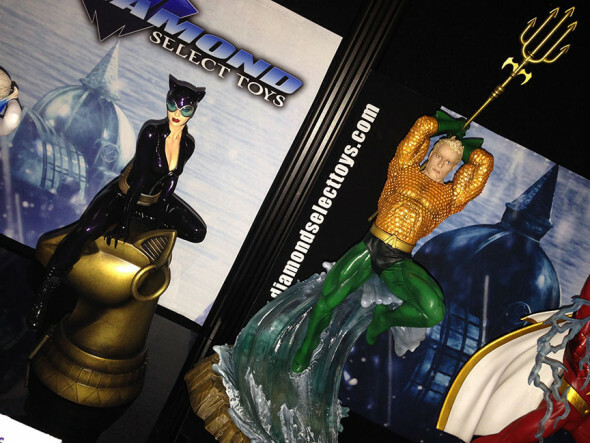 Congrats on the new release of the DC PVC statue line. I am a big fan of Powergirl. Any plans of including her in the PVC statue line? In terms of the PVC statue line, is it only limited to current comics, movies and TV shows? Will there be a possibility of exploring older Batman movies? Like the Tim Burton movies? DSTChuck: Glad you like what you have seen so far. We do not have a Power Girl planned at this moment, but we have no plans on stopping anytime soon. Just like the Animated line expanded to modern movies and then comics, I see no reason to think we can’t continue to expand the line into other areas. Will you guys ever release a wave of MCU villains for Marvel Selects? We only ever got Red Skull and Loki. Curious as to why you guys haven’t done Villains for some time now. DSTChuck: I think it’s possible that we’ll do some of the villains from Avengers 4, but we’ll have to see. 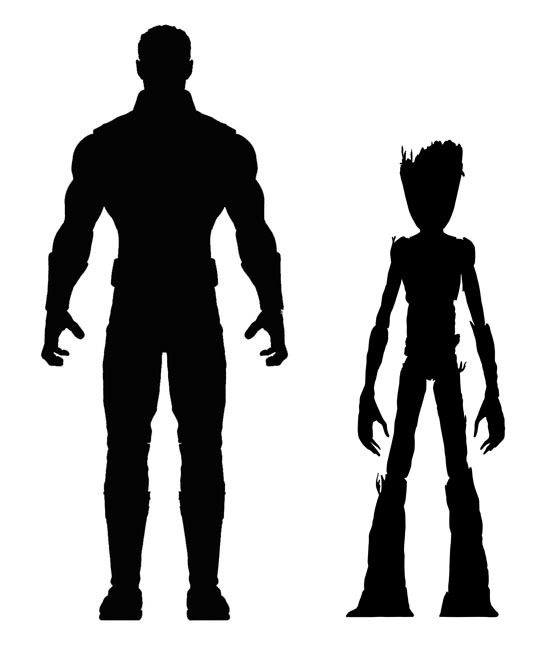 Do you guys intend to launch a new Deadpool action figure? 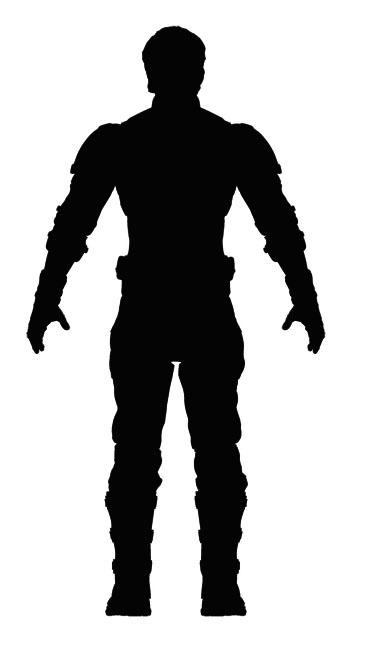 like 6 or 7-inch tall, based on Marvel Now suit? by the way, the Deadpool classic suit and Lady Deadpool is great. DSTChuck: I am sorry, as of now we have no plans to release a new Deadpool Select figure. I was wondering how come the company has stopped making larger two and a half inch figures in the vain of The Lord of the Rings run or the old DC Minimates for some of the newer figures like Hulk or Hulkbuster? In addition, would the company ever consider bringing back Minimates Max for characters like the Iron Giant or any other potential large-scale characters? DSTChuck: Those LOTR Minimates were done many, many years ago, as were the DC Minimates. Since then, MM have pretty much one size and no scale – we have no plans to change that at this time. There will only be 3 Marvel Selects from Avengers Infinity War (Cap, Spider-Man and the pack of Thor/Groot)? Or there will be more, but you can’t tell right now? Because i was really hoping for a new Iron Man. 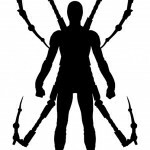 DSTChuck: We have three figures planned for wide release for A3. GOTHAM! With Gotham being renewed for a season 5, I was wondering if there will be a Gotham Select series 5 coming?? I don’t even care who else is in the wave I just NEED a Jerome figure! My Gotham collection will forever be incomplete without him. Other good ones to fill the wave would be Ivy, Jervis Tetch, or Ra’s Al Ghul. Fingers crossed! DSTChuck: If sales can find the demand at retail, I think we would LOVE to release more figures for Gotham! Hi. I’m mostly a collector of figures from the MCU. I was thinking that there should be a few more female characters represented. Any plans for a Scarlet Witch figure after Infinity War comes out? Or maybe Jessica Jones since she’s in her second season on Netflix? Also, I think Maria Hill or maybe Daisy Johnson/Quake from Agent of S.H.I.E.L.D would be good candidates. Also, I think a lot of us will say that Quicksilver did not get the screen time he deserved in Age of Ultron. I definitely think he at least deserves an action figure too. P.S. I also hope to see a Vision figure once Infinity War arrives. DSTChuck: At this time none of those are planned, but for sure they are not ruled out. What is up? I see those DC Vinimates and they look good as hell. Are you gonna consider bringing back the DC Minimates? All you gotta do is shrink the Vinimates…I’m sure y’all got a shrinking ray around there somewhere. DSTChuck: There are two issues with that. 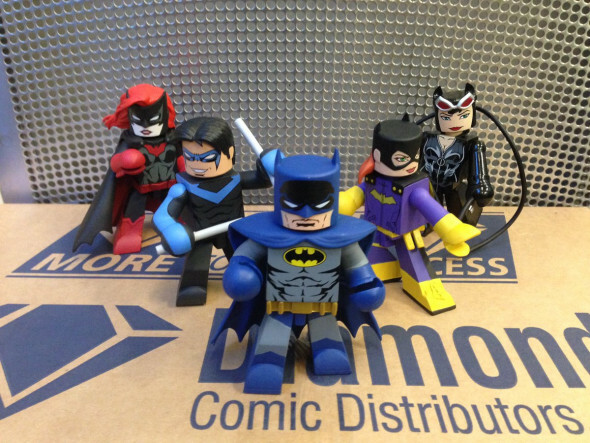 One, our shrink ray is broken, and two, the rights to DC Comic Minimates are not available for us to acquire. Hello. I’ve got a question– do you have plans for Jim Lee’s Cyclops action figure? 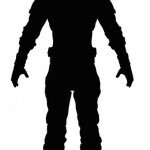 DSTChuck: I am sorry, at this time we do not have plans for a new Cyclops Select figure. I really like how your company makes great statues for reasonable prices, and I’ve been very interested in your DC Gallery Justice League Movie Superman PVC Diorama since I discovered it on a website a few months ago. I saw videos of it at the 2017 New York Comic Con and thought it looked so good! Recently, though, I watched videos of the 2018 New York Toy Fair and noticed that the Superman statue doesn’t look the same. From my understanding, this is the “production” version, and the one I saw at Comic Con was the “prototype”. I heard someone mention that one of these Justice League prototypes was made of resin, and I was wondering if that was true. Was the Superman prototype made of resin, while the production statue is made of PVC? Why would this be the case? I was disappointed that the statue didn’t look as good, and I’m just wondering what the process is that goes into a statue, from prototype to production, and how details and quality can change from one to the other. Thank you for your time, and don’t worry, I’m still interested in this statue! DSTChuck: Natasha, the Gallery line is made of PVC, not resin. For a $45 SRP there is no way they could be made of resin. If they were resin they would retail for around $125, I would think. What we show to fans depends on where we are in development – sometimes it’s a handmade and hand-painted resin prototype, other times it’s an early production sample. I will say our entire team in the states and China spends a great deal of time making sure the production matches the prototype. I can say at Toy Fair buyers and press had a very hard time trying to tell the difference between what was prototype and what was production in our display. So I hope you enjoy the final Superman piece. Are Gwenpool Bust banks ever going to be made? I would love to have one. Could DST possibly someday make Select 7″ action figures of DC Comics Movies and CW TV shows like DST has done with Gotham? DC Collectibles is no longer making CW TV 7″ figures and cancelled a premium movie 7″ line. And DCC is currently making 7″ DC Essentials figures in Rebirth costumes, so maybe DST could eventually do DC comic book Select 7″ figures in their Classic costumes! DSTChuck: I think that would be fantastic, but those are not available to us at this time. I’m going to keep this short – any new X Men planned for Marvel Select in 2018 other then Beast? Also, do a new Deadpool Marvel Select. 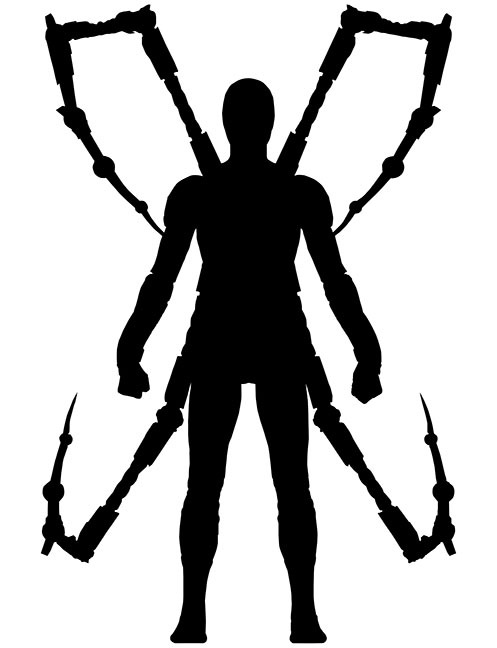 DSTChuck: There is another X-Man planned, we’ll have to see if they make it out in 2018. I expect it to!